"Theme from Mission: Impossible" is the theme tune of the TV series Mission: Impossible (1966–1973). 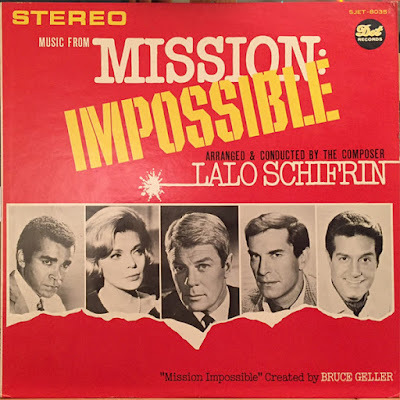 The theme was written and composed by Lalo Schifrin and has since gone on to appear in several other works of the Mission: Impossible franchise, including the 1988 TV series, the film series and the video game series. The 1960s version has since been widely acknowledged as one of TV's greatest theme songs. Mission: Impossible is an American television series that was created and initially produced by Bruce Geller. It chronicles the missions of a team of secret government agents known as the Impossible Missions Force (IMF). 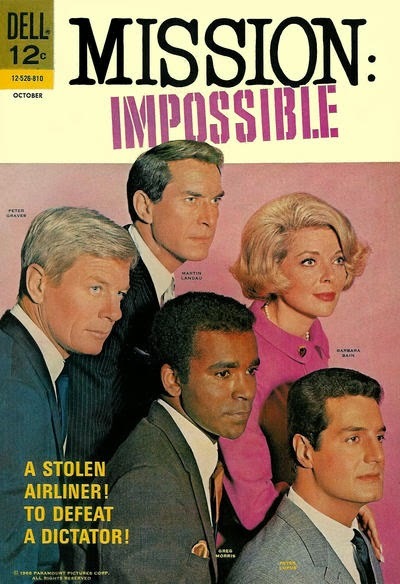 In the first season, the team is led by Dan Briggs, played by Steven Hill; Jim Phelps, played by Peter Graves, takes charge for the remaining seasons. A hallmark of the series shows Briggs or Phelps receiving his instructions on a recording that then self-destructs, followed by the theme music composed by Lalo Schifrin. The series aired on the CBS network from September 1966 to March 1973, then returned to television for two seasons on ABC, from 1988 to 1990, retaining only Graves in the cast. It later inspired a popular series of theatrical motion pictures starring Tom Cruise, beginning in 1996. Lalo Schifrin (born June 21, 1932) is an Argentine pianist, composer, arranger and conductor. He is best known for his film and TV scores, such as the "Theme from Mission: Impossible". He has received four Grammy Awards and six Oscar nominations. Schifrin, associated with the jazz music genre, is also noted for work with Clint Eastwood in the late 1960s, 1970s and 1980s, particularly the Dirty Harry films.